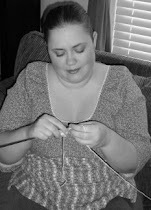 Spa Delights: Dana Knits Away - Preparing for the Shop! We are excited to open soon. 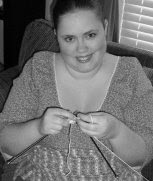 As I type this, Dana is knitting away - furiously preparing inventory that you will all love; items like facecloths, eye-masks, and more! One of her favorite yarns is so soft and luxurious; it is made with bamboo and acrylic and must be experienced to believe! It is a special "Spa Yarn," so it is perfect for our shop Spa Delights and all of you! We have a variety of spectacular colors and yarns for our items and will also offer custom orders. Please post a comment and tell us what colors you would like to own! I want blue. more ways to spend money!